Sony Xperia E3 is launched as single sim supported and Dual sim supported. 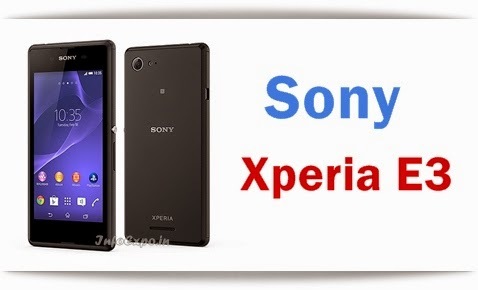 Xperia E3 comes with a 4.5 inch IPS display. It is powered by a 1.2GHz quad-core Qualcomm Snapdragon processor along with 1 GB RAM. It is loaded with Android Kitkat OS.